PARLIAMENT – Parliamentary Committee on Gender has recommended the national rolling out the Social Assistance Grant for Empowerment (SAGE) to all districts. 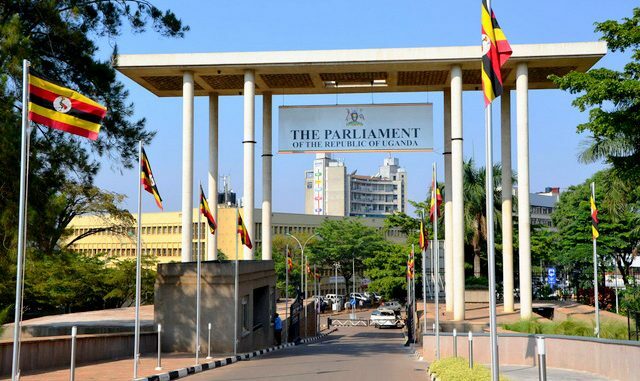 According to a report presented to Parliament on Wednesday, the committee also want new beneficiaries in the new districts to be 80 years and above contrary to the current target age of 65 years and above and 60 years and above vulnerable regions like Karamoja. In the report, Alex Ndeezi, People with Disabilities (PWDs) MP who also the committee chairperson demanded that Government comes up with a clear structure detailing reducing the eligibility age from 80 years to 60 and 65 years within 3 years from the year of the national roll-out and that the roadmap be presented to Parliament in the first quarter of the next financial year after the roll-out. In 2010 Cabinet approved a 5 year Expanding Social Protection (ESP) Programme with the aim of establishing a national social protection system as a key strategy for fostering a more inclusive socio-economic transformation. The 5-year SAGE was piloted in 15 districts and had two components; Senior Citizens Grant and Vulnerable Family Grant. The Senior Citizens Grant targeted older persons who were 65 years and above and those who were 60 years and above in Karamoja region. The piloting districts included Kyenjonjo, Kyegegwa, Kiboga, Kyankwanzi, Apac and Kole. Other districts were Katakwi, Kaberamaido, Moroto, Napak, Nakapiripirit, Amudat, Nebbi, Zombo and Yumbe. According to Ndeezi, the Senior Citizens Grant which was initially sh23,000 and later increased to sh24,000 and eventually to sh25,000 has currently reached over sh123,000 beneficiaries. William Nzoghu Busongora North MP commended the committe for the findings and agreed with the national roll-out but raised concern saying pensionable citizens should not benefit from SAGE. “I pray that for expansion of SAGE, let the districts with too much poverty take precedence. The elderly are not of the same status, some have buses, some have rentals, the money should go to the very needy,” said Nzoghu. Tochi County MP Peter Okot Peter urged the committee on Gender to ask the National Identification Registration Authority (NIRA) to speed up registration and issuance of IDs to facilitate the programme. He said that some eligible citizens have failed to benefit from SAGE due to lack of National Identity Cards. Chris Baryomunsi, the State Minister for Housing said that payment is inadequate because the number of the beneficiaries is big and that shows how the quality of life under NRM government has improved. David Bahati, the State Minister for Finance said that the programme will be rolled out nationally in a phased manner.